Jemispere pendants are the latest addition to the Sherry Collection. Exclusive ranges of jewellery, designed and made in England. They measure approximately 16mm across and as their name implies, are spherical in nature. The first editions are called Our Blue Planet, being set with blue lace agate. Each agate is a natural stone, with its own unique markings, giving character and individuality to every Jemisphere we make. The gems are set, to pivot on a central axis, which allows the agate to rotate freely in the mount. This ability to move, gives the pendants a lovely quality, a little like worry beads. It enables the wear to fiddle and spin the stone between their fingers. We designed these ideally, to be worn on long chains. But they look good on shorter lengths and also make great charms! Each Jemisphere can be made in silver or gold (of any colour or carat.) Their pierced out detail, not only adds to the attractive design, but also allows the gem to be seen from the back: Like a stained glass window. The pendant looks great from the front or the back and its globe shape, allows it to roll and move when worn. 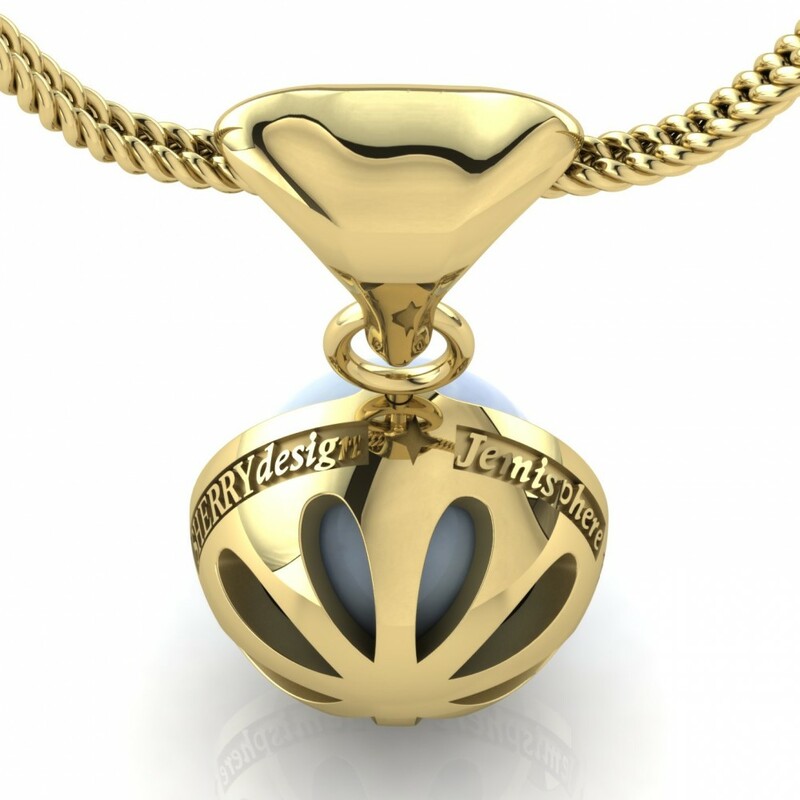 The Jemisphere and SHERRYdesign logos track around the perimeter of the cup for an extra exclusive detail. We have introduced the optional addition of a diamond set clip, for the loop at the top. This hinged bail makes it possible to clip the Jemisphere onto any necklace, or even to a bracelet. I have worn mine on a row of fine blue pearls, which look very pretty. Prices and more images can be seen on the Sherry Collection Pages, under view the collection. Contact me to place your order. Each one is individually made, to suit your own choice of metal.